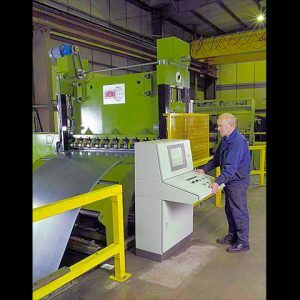 Bronx have been making Precision Levellers for over 45 years and have over 500 in operation worldwide processing all types of ferrous and non-ferrous materials. The Bronx range of Precision Levellers are designed to give the optimal flatness improvement to a wide range of materials. 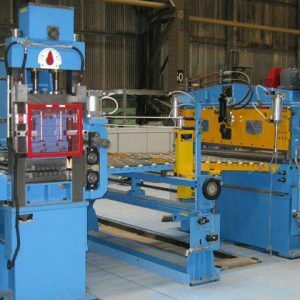 They are available in different sizes and roll combinations and are selected by our experienced technical team to suit each type and range of materials to be processed. New materials are being developed for the Automotive Sector which have a significantly higher Yield Stress. In order to meet the need to process these materials Bronx have developed a new Precision Leveller with the capability to level strip of thickness 2mm and Yield Stress 1280MPa. Bronx have the technology to upgrade existing machines or to design new machines to suit your requirements for processing high strength materials. Bronx are at the forefront of Precision Levelling Technology and are continually developing new analytical models in this field which are used for both Tension Levelling and Precision Levelling. Recent work on strip curvature prediction enables Bronx to analyse any roll configuration and to calculate the optimum mesh settings required to level strip with the lowest energy. Bronx have installed an Active Levelling System to a Precision Leveller in a Rotary Shear Line. 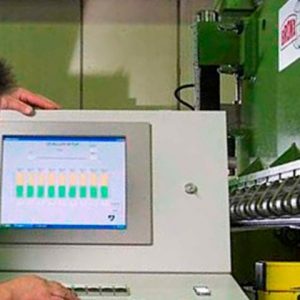 Active Levelling provides the operator with a system to monitor flatness through the coil and to make adjustments to the Leveller to maintain consistent flatness through the coil. A distance measurement laser scans the strip at the exit of the Leveller and measures any out of flatness. The measurements are used to display a 3D image of the strip and to make corrections to the leveller settings in order to control the strip shape. This technology will reduce the amount of operator supervision and will produce consistent results. Flatness reports can also be provided for each coil. Bronx have developed this technology jointly with Scantron which can also be retro-fitted to existing machines.